Farah Shoaib is a Senior Learning Technology Facilitator in one of the renowned school of the Karachi. She has been associated with the field of education from last 14 years. She is masters and has the expertise in online collaborative projects, ICT integration across different subjects and Project Based Learning. She has many certifications such as ICT in Education from AKU-IED, Online project based learning from Intel, Photojournalism and Adobe Youth Voices from iEARN Pakistan and e-portfolio 21st century skills form LearnTech.pk. Language shapes the way people perceive the world and is derived from their diverse traditions and cultural believes. In today’s contemporary world, English language has become part and parcel of every walk of life. English is the official language of 53 countries. English is spoken as a first language by around 400 million people around the world. It has been an international language of communication, education, business, science, information technology, medicine, entertainment and so on. If we analyze the field of education, English language has become very important for teachers and learners both, because most of the researches have been done and translated in to English language of scholars and scientists of the world to get the benefit from their massive and comprehensive body of work. In our education systems, especially private sector more emphasizes on it. Even it has become the medium of instruction in teaching and learning process. Schools prefer those teachers which are proficient in English language. In different professions, English language has its own value due to the demand of the today’s world. In the business sector, most of the multinational organization require the employees which have excellent communication skills and confidence to market their products and different consultancy services which followed by cracking good international deals for them. The stock exchanges of the world also use English language to communicate and to do business with each other. English is operative as an official language of business community. After the gigantic boom of information technology, the demand of English language is increasing day by day, because most of the information is available on internet belongs to this language. There are many software and apps available in English, even for text messaging we use different languages but with roman script which is the script of English language. Technology has become one of the most interactive and impactful tool of education, which motivates and engage the students, teachers and even parents. Entertainment industry has also become 3 dimensional and easily accessible to any one, any time and any place due to the advancement in the field of technology. In the nut shell, we can say that English is the most popular and effective language which is making its mark in every field of the world such as, education, business, information technology and entertainment industry. 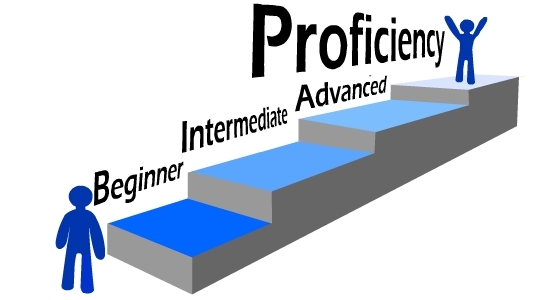 Moreover, the ocean of career opportunities is opened to the English-proficient people anywhere and everywhere which is very much assured that proficiency in English language is the key of better prospects for everyone.